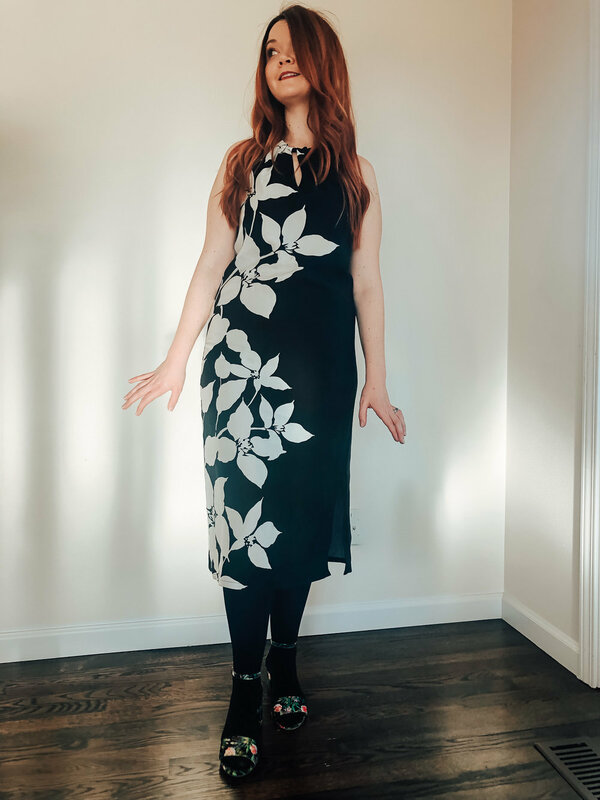 Stitch Fix Reviews are back! My stylist, Kristin, deserves a trophy or a good glass of wine, because I don’t make her job easy. This month, I asked her to send me pieces that emanated fortune teller chic. Think young, (probably still weird), Professor Trelawney. First, IT’S MAGIC MONTH! Every month here at Costume Parade will have a theme, and my fixes will follow that theme, too. Second, I’m a big fan of Anuschka Rees’ wardrobe-planning guide, The Curated Closet. In it, she advocates to create a board of outfits that you love, take them all in, and then to name your style. So, I made my Pinterest board (it was very extensive), looked it over and thought, “I should have seen this coming. 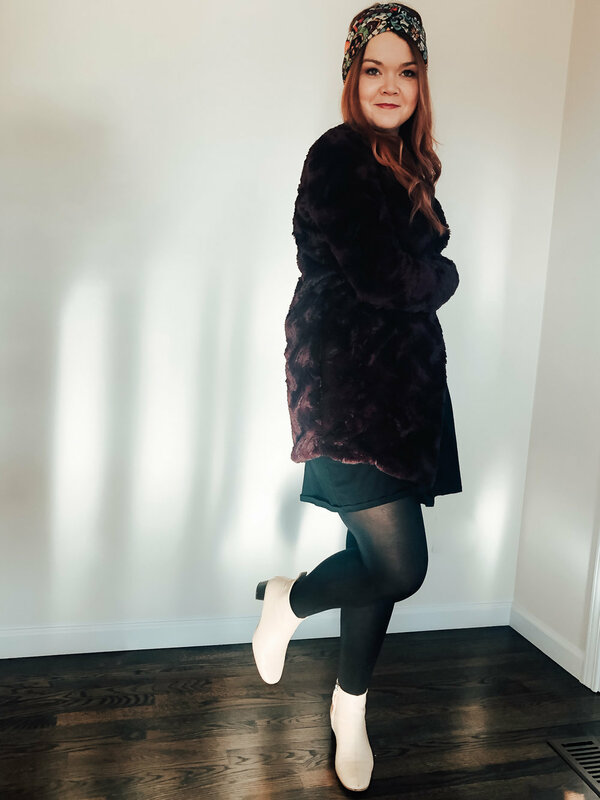 My style is definitely fortune-teller chic.” (I’m slightly sorry for that dad joke.) Also, I’m feeling indecisive about a few pieces (and my crystal ball is no help! ), so I’d love to know whether you think I should keep them or send them back. THOUGHTS: I love almost everything about the dress. I love the fun scallops on the sleeves and neckline! (I also love that they’re triangular, and not rounded!) I love the color! I love the knit detail! My one drawback is this - from the side, this dress really shows off my newlywed weight. Should I let that get in the way? 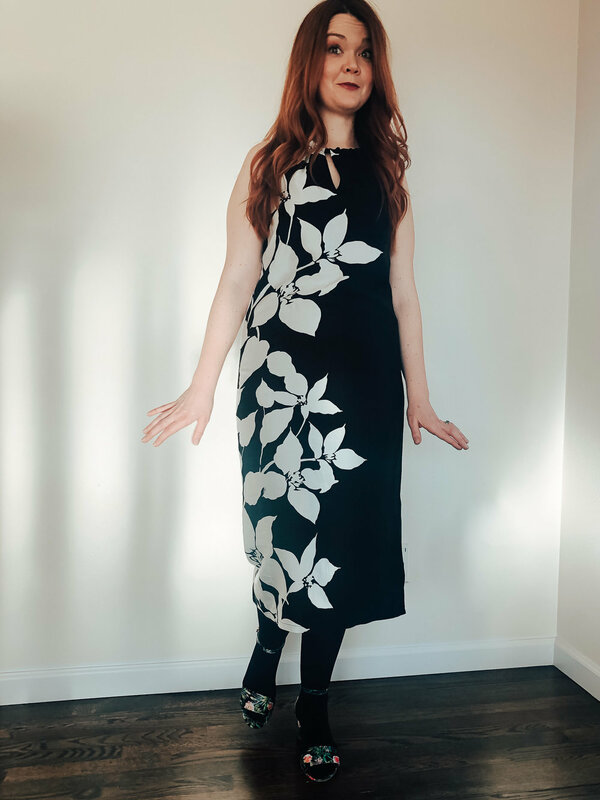 Stacy London always said to dress for the body you have now… and I’m worried that I won’t wear this dress for awhile because I’ll be self-conscious. VERDICT: Please, help me decide! THOUGHTS: When this came out of the box, I audibly said, “ooooooooooooh”. I love the color and the material, and am shocked that it fits both my shoulders and my hips easily. Usually, slip dresses are a no-go for me. I’m leaning towards a yes on this one… but when my husband saw it he said, “It’s just sort of shapeless” so now I’m waffling. Does the shapeless style work, or should I pass? THOUGHTS: I’m not usually a fan of pointy-toed shoes, but I liked these! 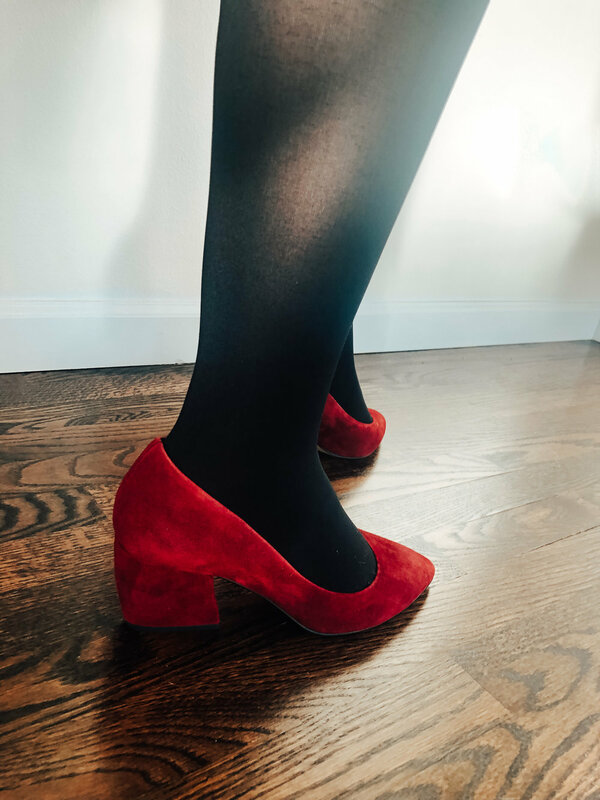 However, they’re a bit too big and I already have a pair of velvet heels in practically the same color, so I’m passing. I do believe I’ve had a premonition about Harry Potter! THOUGHTS: Though the photos hide it fairly well, this dress is VERY tight across the hips and too big on top. The pattern also doesn’t quite do it for me. This outfit makes me feel like the “cool mom” that took her teenagers to Coachella. Ok, kids! Remember, stay hydrated and we’re only here for the music! THOUGHTS: While that last dress was more flattering in photos, I feel like this jacket is the opposite. I liked it in the mirror, but I’m not as crazy about it in pictures. I do love that it’s faux-fur but isn’t overwhelmingly puffy, and I do love the color. This is another one where I’m on the fence. What do you think? Would you prefer that these Stitch Fix Reviews come to you? Sign up and get each review straight to your inbox. Hurrah! See you in your inbox! So, there you have it! What did you think of my fortune teller fix? What items do you think I should keep? Have you named your style, yet? Finally, all month long, I’ll be posting additional magical content on Instagram and Twitter. I hope you’ll come along for the ride! My tea leaves have told me you’ll enjoy it!